In late spring, “fuji” or the Japanese wisteria (floribunda) bloom wonderfully with a cascade of tumbling flowers in white, pink and lilac-purple shades. 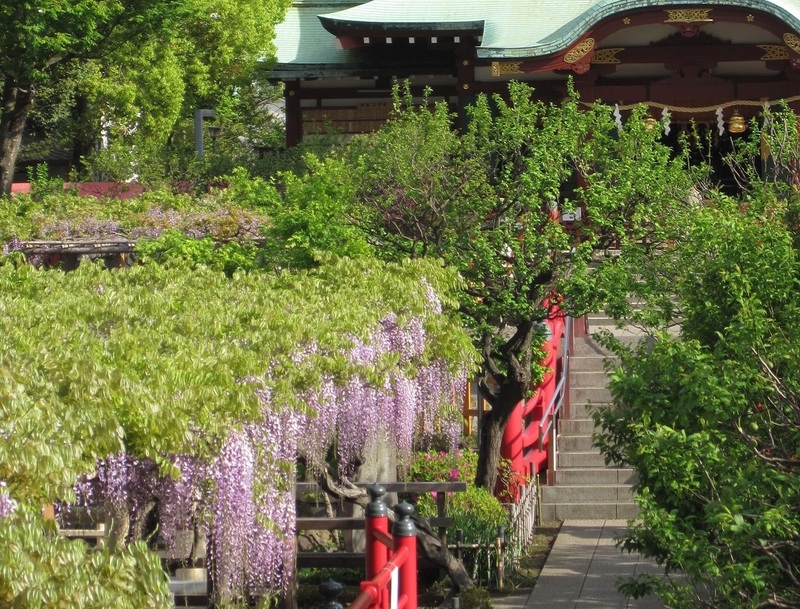 In Tokyo, Kameido Tenjin Shrine is particularly renowned for its picturesque Japanese garden full of wisteria blossoms. 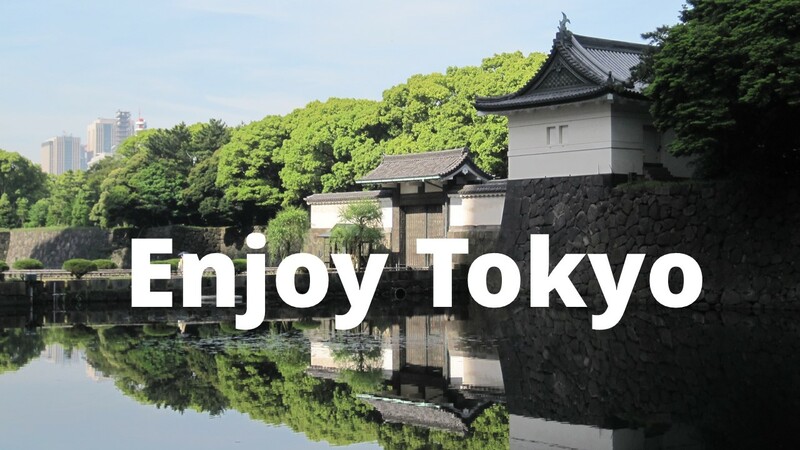 Located in eastern Tokyo, Kameido Tenjin is a Shinto sanctuary dating back to the 17th century. 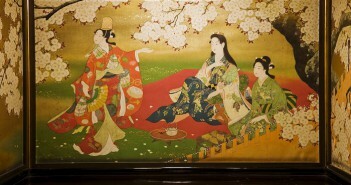 It enshrines “Sugawara no Michizane” (a poet, scholar and politician, 845 – 903) as the main deity, popularly known as the patron of academic endeavours. 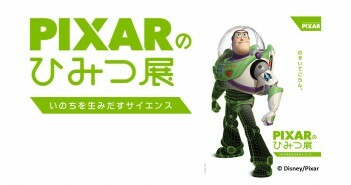 Kameido Tenjin is modelled after Dazaifu Tenmangu Shrine in Kyushu – the most famous shrine of Sugawara no Michizane – including the main building and the garden. 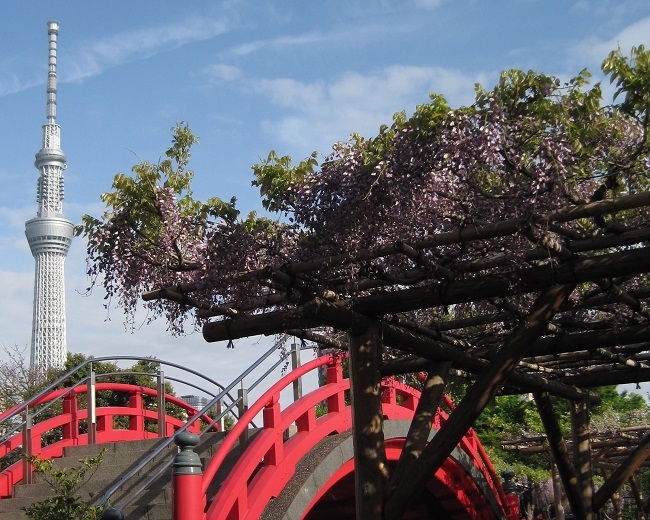 Highlighted by long trusses of fuji flowers, the shrine’s garden with a pond and an arched bridge appears in a ukiyo-e print by Utagawa Hiroshige as part of the series “One Hundred Famous Views of Edo”. The work induced the French impressionist painter Claude Monet to create his Japanese garden in Giverny. 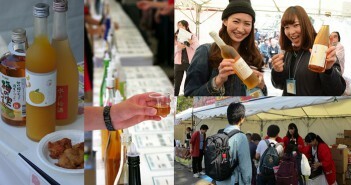 A major difference today from the ukiyo-e print is Tokyo Skytree, which towers above the arched bridge. 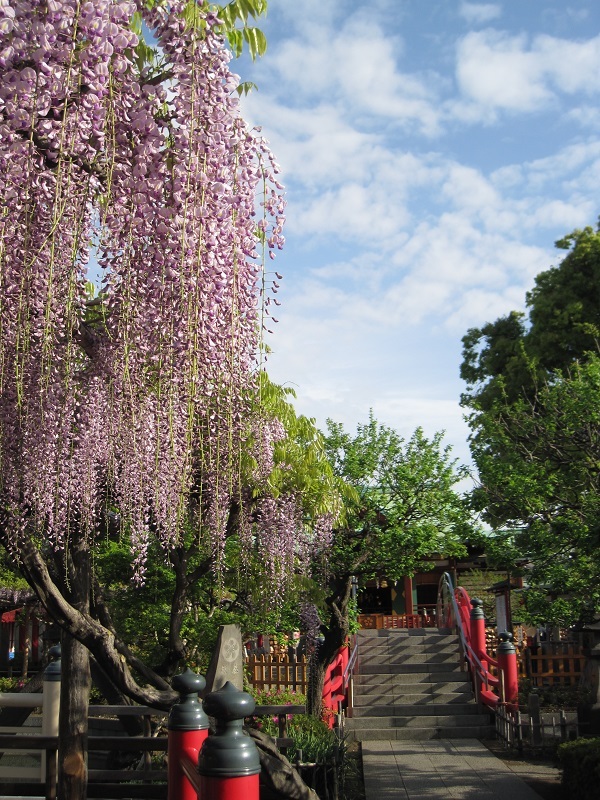 At the time of wisteria blossoms, during the Fuji matsuri, visit Kameido Tenjin shrine and have a pleasant stroll through the garden. 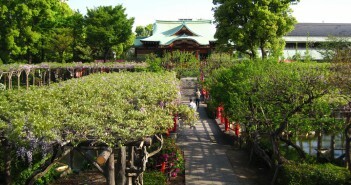 The shrine’s garden is widely covered by pergolas of wisteria vines. In late April lavender-purple flowers come into full bloom beautifully, elegantly dangling from the canopy against a background of young foliage. 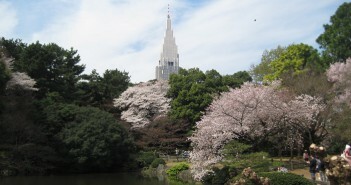 Like cherry blossoms, the peak flower period always depends on the weather. 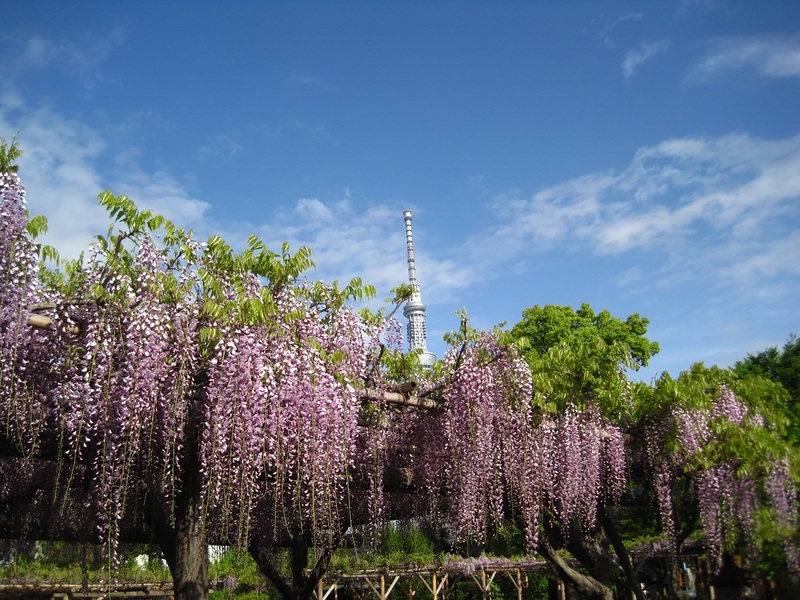 Last year, it was too warm: the wisteria flowers started blooming early and finished without waiting for the end of the festival. For the 2019 peak time, watch the April weather closely.